Observation - Green Woodpecker at Cissbury Ring, West Sussex - UK and Ireland. Description: Green Woodpecker, heard the call and then spotted it in the short grass. Was very excited to see this as it was my first ever sighting. 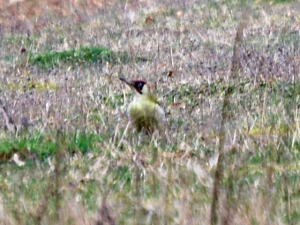 Green Woodpecker, heard the call and then spotted it in the short grass. Was very excited to see this as it was my first ever sighting.